Our visit to the Blue Planet Aquarium occurred while we were in Chester last August Bank Holiday weekend. I’ve written about it somewhat in the Chester Holiday Diaries but thought it might be more useful to put a post together with more information about it. The Blue Planet Aquarium is located in Ellesmere Port beside the Cheshire Oaks retail park and remains the largest aquarium in North West England. Opened in 1998 it is a freshwater and marine aquarium that includes themed areas such as Tropical Rivers, Lakes and Ponds and Seas and Oceans. The largest tank holds 4 million litres of water and features a 71 meter underwater tunnel. 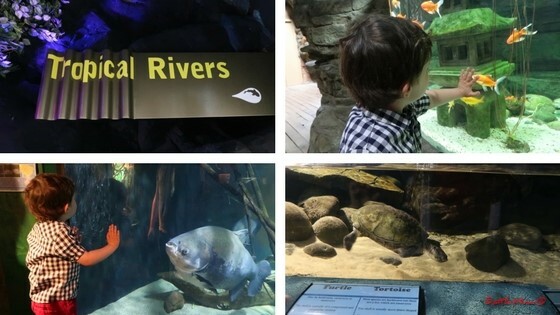 As you enter the Upper Area we started our visit to the Blue Planet Aquarium at the Northern Streams featuring freshwater fish found in the rivers and streams of the Northern Hemisphere including the British Isles. We saw fish such as Pike, Carp and Perch and a great mixture of both small and large fish which was a great start for BattleKid. He enjoyed following the fish around the tank and had to be prized away so we could continue our visit! From there we went on to the Lake Malawi exhibition featuring fish from Africa’s third largest lake. Lake Malawi is home to over 1000 species of fish as we saw just a few of these including CICHLIDS which have no less than 2 sets of teeth and look mean. After Lake Malawi we passed through the Flooded Forest section which is a tropical exhibition designed around the Amazon River. 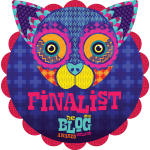 This exhibition is great as you can hear buzzing insects, frog’s chorus and birdsong and monkey chattering to make you feel like you really are in South America. We saw various types of piranha in this section including the Red-bellied Piranha which are dangerous to man. We were soon finished on the upper level and headed past some open tanks where we spotted Dory and Nemo hiding among friends, before making our way down to the lower section past the huge main tank. BattleDad and I visited the Blue Planet Aquarium about 10 years before but it was only seeing BattleKid stand against the tank that I realised and appreciated its size. The main tank is connected to the underwater tunnel where you can see Europe’s largest collection of sharks. There are also rays and other fish and BattleKid thoroughly enjoyed the tunnel. 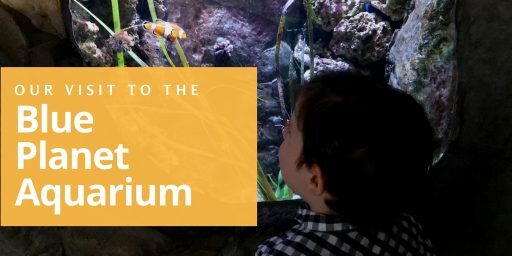 During our visit to the Blue Planet Aquarium we also saw the Reef and Coral exhibitions and some of the reptiles, amphibians and insects on display. 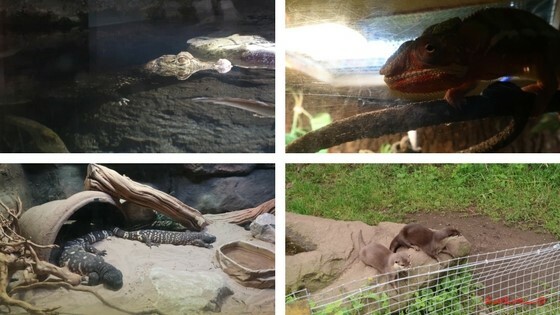 We saw caiman crocodiles and there are also some gorgeous otters in an enclosure outside near the playground. The Blue Planet Aquarium is a good place to visit with children of all ages and they also hold educational talks. And if you are braver than me you could even swim with sharks in their main tank in one of their “Dive with Sharks” experiences, which can be done by diving beginners too. Just note that these experiences must be booked in advance of your planned visit. 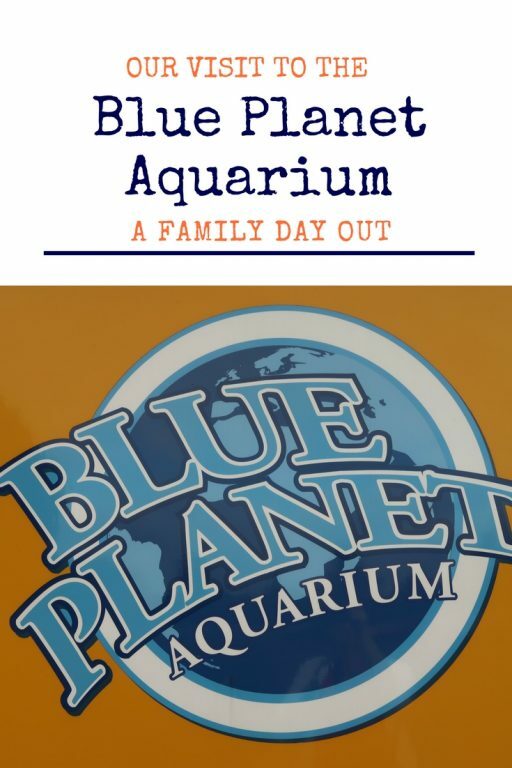 Our visit to the Blue Planet Aquarium lasted a few hours but as there is a café you could easily spend the day there wandering the various exhibitions and attending some of the daily talks that take place. There are also at least 3 daily dive shows in the main tank. 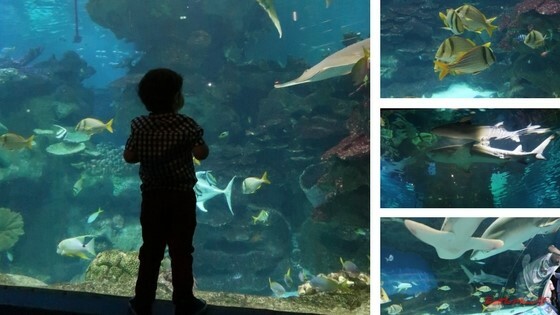 The Blue Planet Aquarium is open daily from 10am to 5pm on weekdays and 6pm on weekends. Live shows begin at 11 am and continue throughout the day. There is ample parking and it cost £2.50 at the time of our visit. 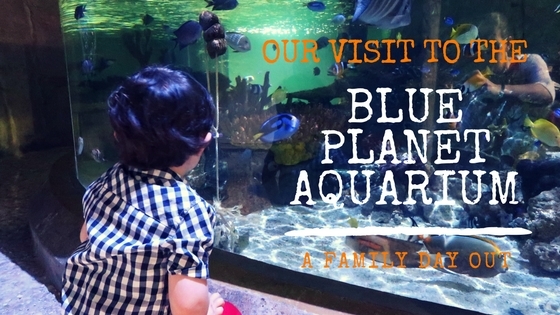 The Blue Planet Aquarium is family-friendly and is buggy and wheelchair accessible too. There is a restaurant and also a gift shop and an outdoors children’s playground. An adult ticket costs* £17.75 and a Junior costs £12.75 (over 90cm tall and up to 12 years of age). If you book online you may get a discount. And if you fancy it, you could always do a bit of shopping at Cheshire Oaks retail outlet afterwards as we did. 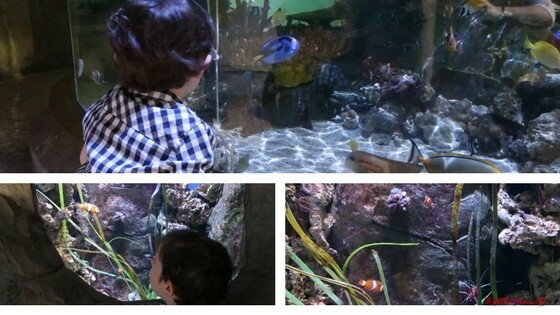 The Blue Planet Aquarium was a great place to spend a few hours with BattleKid and he thoroughly enjoyed his time there. We also filmed a little vlog of our visit which you can view below if you fancy it. For more information about the Blue Planet Aquarium please visit their main website. A map of the Blue Planet Aquarium can be found here. *Prices are correct at the time of writing this post. **We were not asked to write this post. Previous Christmas at Home or Abroad, What’s Your Take? It’s great for kids of all ages! Enjoyed the pictures too ! I won’t tell anyone haha! Thanks hun, it’s a really good day out, especially with kids. Oh wow, I bet the one in Monaco was amazing! We always love an aquarium visit. Looks like you had a great time. I had no idea this was at Ellesmere Port.